ANN: kbmSQLiteMan v. 1.70 released! Our free cool tool for managing SQLite databases has been released in v. 1.70. This release updates the supported SQLite version, and fixes support for BIGINT/LARGEINT/INT64 hinted typed fields. 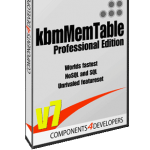 Further it is compiled with the latest version of kbmMW and kbmMemTable. To download it, login at https://portal.components4developers.com and it is readily available for you to download. If you do not have a login already, you can easily and for free sign up same place. 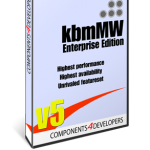 ← Work with the best multiplatform development tool for free.